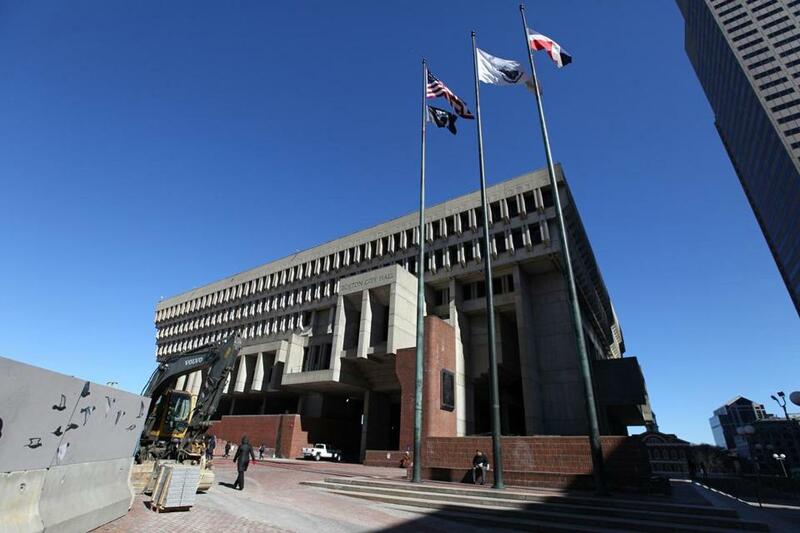 What would it take to use City Hall as a refuge for immigrants? City officials met Thursday to work out logistics in the event they decide to provide what Mayor Martin J. Walsh is calling “emergency shelter” to undocumented immigrants as “a last resort” type of measure against President Trump’s immigration crackdown. Among other things, they discussed sleeping arrangements, restroom facilities, and security, and planned to hold more meetings. 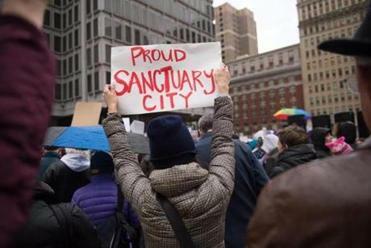 They also considered the possibility of accommodating immigrants from outside the city who might want a refuge in Boston, city officials said. Thursday’s meeting took place one day after Walsh offered to open City Hall, if needed, to unauthorized immigrants, after Trump signed an executive order to dramatically crack down on illegal immigrants, triggering fear among many groups in Boston and the nation. Walsh offered City Hall “if people want to live here,’’ saying he won’t back down in the face of Trump’s policies. Boston is one of several Massachusetts municipalities that do not actively work with US authorities to deport most undocumented immigrants — a so-called sanctuary city. Can Trump legally strip sanctuary cities of federal funds? The Globe interviewed several immigration law experts to explain the questionable nature and potential impact of President Trump’s proposal. But after his pronouncement on Wednesday, it was not immediately clear how the mayor would carry out his promise. Where exactly would immigrants stay in City Hall? The cavernous mezzanine? How would it work? A former state representative, Alice Wolf of Cambridge — which became a sanctuary city in 1985 — said she doesn’t know of any city halls serving as shelters for immigrants. The Globe could not find one, either. Wolf led Cambridge’s sanctuary effort after officials learned of the plight of several Salvadoran refugees who fled civil war in their homeland and took refuge in the old Cambridge Baptist Church. Councilors were outraged that the federal government would not grant them asylum, Wolf said. Walsh’s words of defiance were praised by members of Boston’s immigrant community, who said he offered a shield against Trump’s policies. But Iván Espinoza-Madrigal, executive director of the Lawyers’ Committee for Civil Rights and Economic Justice, wondered if the mayor and his administration would be able to move beyond rhetoric to specific policies that would really affect the lives of immigrant residents. He said the Walsh administration has been slow to address key issues such as developing anti-registration policies that would prevent government officials from tracking immigrant groups, including Muslims. Nor has the city been quick to grant municipal ID cards to those unable to get driver’s licenses or other government identification. New York City began a municipal ID program in 2015 under the administration of Mayor Bill de Blasio, who like Walsh is serving his first term. On Monday, the Walsh administration announced it was seeking bids to study the feasibility of a city ID program.